Selling? 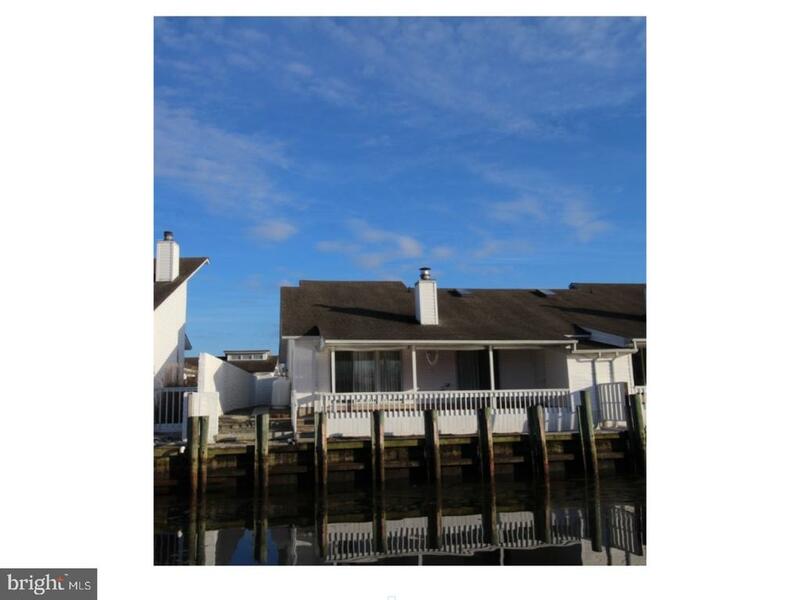 Have YOUR PROPERTY FEATURED here on Millsboro Delaware's beach real estate website. Amazing Value in The Pennisula!!! This beautiful townhome has a formal dining room that leads to a balcony through bright french doors. The kitchen and family room have open space living with a gas fireplace, beautiful engineered floors, granite countertops, stainless appliances and a wonderful screened in porch. Upstairs has the large owner's suite with screened in porch, large walk in closets and owner's bathroom. Additionally there are two more bedrooms, full bathroom and the laundry room. On the ground floor there is an additional family room/den with a full bathroom and a two car garage. This beautiful home is located in a gated, private golf course community, along with amazing amenities, which include indoor and outdoor pools, beautiful clubhouse with restaurant, wave pool, walking trails along the Indian River Bay. The Pennisula is luxury living!! This home is priced to sell!!! Opportunity knocks! 3br//2.5bath with a private garage in the Windswept neighborhood in the Peninsula. 1,842 sf end unit with golf, lake and partial bay views. Walk to the resort style living of the Peninsula on the Indian River Bay. a gated community with a private bay beach, world class amenities, state of the art fitness, staffed spa, indoor and outdoor heated pools, sandy beach wave pool, 2 restaurants, 32,000 sf Clubhouse and a Jack Nicklaus Signature Golf course. This property makes the perfect primary, vacation or iestment property. Past yearly rental income is $20,000 plus. Gourmet kitchen with solid stone counter tops, breakfast bar, morning room, dining room, laundry room, screened balcony and living room with gas fireplace and built-in cabinets. Ceiling fans in 3 bedrooms and living room, crown molding and 9 ft ceilings. The master bedroom features fantastic golf and lake views. The private bath features a double bowl vanity with a separate soaking tub and shower. SCENIC GOLF COURSE VISTAS! This stylish and elegantly appointed Peninsula residence is a breath of fresh air, complete with numerous interior features, including fantastic, light-filled, open floor plan with rich hardwood floors throughout, living room with gas fireplace, gourmet kitchen with granite counters & stainless steel appliances, gorgeous master suite with private balcony access, spa-like bath and 2 large walk-in closets, three additional generously sized bedrooms with en-suite baths & walk-in closets, and so much more! Parking and storage is a breeze with 7 total walk-in closets & parking underneath the building with additional storage area. Within walk distance to the community~s nature center, this end unit offers panoramic views of the Jack Nicklaus Signature Golf Course, beautifully manicured and surrounded by the natural beauty of the Indian River Bay. A must-see in a sought-after community. Call Today! BEST BUY ON THE WATER. Where can you find water front property for this price. A view to wake up to, Beautiful Sunrise from your bedroom or living room. Beautiful Unobstructed view of the river, Never will anyone build in front of you. Open Concept living room,Cathedral Ceilings, Large Great Room,wood burning fireplace, Master bed room with large master bath with Jacuzzi tub and separate shower, walk in closet, 2nd bed rm with sliding door for outside, 2nd floor 3rd bd rm with skylight, laundry on 1st floor, Kitchen with 4 seasons breakfast nook. A Wet Bar for your entertaining ,extra large 20x22 double car garage with storage closets on both sides and attic. Your own boat dock . A low millage Home of the original owners. Walk up town, Vintage cars every Tuesday evening (weather permitting) Boat from YOUR dock to Rehoboth or Lewes .All this in a private Gated Community. ALL CORNERS, CRACKS, RE SEALED AND FRESHLY PAINTED. ready for you to move inn. A Must see. SELLER MOTIVATED ,MAKE AN OFFER. TAKE ANOTHER LOOK, IT GETS BETTER. Turnkey and ready to go in this amenity-rich community. Spacious (3) bedroom (2) bath end unit Bonita Model with wooded view ~ Builder features include ; built in bookcases, chair railing, crown molding, gas fireplace , ceramic tile and more! Spacious sunroom just off the Dining Room and Living Room ~ Master Bedroom with en-suite Bath and screened porch ~ Plenty of closets and separate laundry room~ Loads of parking with a reserved covered parking space under the building and an ample storage close ~ For added coenience a centralized Elevator to all floors! The community boast a Jack Nicklaus Signature Golf Course (membership required) and Clubhouse ~ Other amenities include, wave pool, indoor /outdoor pool, fitness center, walking trails, fishing pier, nature center , private beach and more! When you Want The Best of the Best! It's here in this Nearly New Two-Story 3 Bedroom Plus Bonus Town Home with over 2000 sq.ft., Solid Upgrades and a Paver Patio with Knee Wall and Fire Pit. Meticulously Maintained by Original Owners, Never Rented. Hardwood Floors, Granite in Kitchen. Stainless Appliances. Natural Gas Fireplace. Gas Stove in Kitchen with Island and Counter Seating. Lovely Open Floorplan with Great Room open to Kitchen. Sliders to Covered Porch and Paver Patio with Knee Wall. Gas Fire Pit on Patio to Coey! First-Floor Owner Suite with Private Bath with Oversized Shower. Recessed Lighting. Ceiling Fans. Formal Dining Room too. Powder Room, Laundry and Storage on Main Floor. Upstairs a Very Spacious Loft with 3 Bedrooms and a Full Bath. Finished Bonus Room over Garage could be Rec Room, Storage, Bedroom. This is A LOT of Home for a Great Value. Improvements made include 2 zone heat/air so you can control the Upstairs separate from the Down. Outside there is a built in Fenced Area for Trash/Recycles so you free up Garage Space. One Car Garage with Opener and Remotes. Cages Installed on exterior Vents. The Sellers have thought of everything so all you have to do is MOVE Right On In! Professionally Installed Blinds in Every Room Plus Plantation Shutters in Dining. Community with Attractive Club House and Pool, Golf Course with Golf Club House with Dining/Bar under construction Right Now! Walking Trails. Tennis. Close to Shopping. Short drive to nearby Beaches/Parks. Welcome to affordable luxury located in the heart of Millsboro. This immediate move-in one-year-young interior-unit villa can be yours today! This home features a first floor owner's suite, upgraded maple espresso kitchen cabinets, granite kitchen countertops, high-end black stainless steel appliances, ceramic tile bathrooms, rear screened porch, custom window treatments, one car garage with storage nook and a first floor study. As soon as you walk through the front door you will appreciate the expansive dining area and great room all of which is open to the kitchen. Sit back and relax on your private rear screened porch & paver patio, which enjoying the blue herons and natural wildlife that habitat in the community pond. The second floor features one additional bedroom, hall bathroom and expansive unfinished storage space. For piece of mind, the home has one year left in the builder provided warranty. The community features a pool and clubhouse and sidewalks throughout. You are located only minutes away from all of tax free shopping as well as the plethora of restaurants located in the greater Millsboro area. With coenient access to Route 113 you could swing over to Bethany Beach, Lewes or Rehoboth Beach in just a short drive. Call now for your private guided tour of this impeccable home! PRICED TO SELL! This beautiful, upgraded townhome is ready to be made yours! Enjoy upgraded kitchen cabinets, quartz countertops with breakfast bar, tile backsplash, & stainless steel appliances in the kitchen, a warm & iiting marble fireplace in the living room, a quiet & relaxing rear patio, 1st floor master with tray ceiling and huge walk-in closet, 2nd floor loft overlooking the living room and much more! Located in the established community of Bay Shore, just around the corner from the community clubhouse and pool, and only a short drive to beaches, shopping, dining. Call today! Fantastic views of the bay and wetlands await you from this 3 bedroom, 2 bath, 2 half baths and loft unit. Over-sized garage large enough for your boat and car. Minutes to Massey's Landing to launch your boat and minutes to the area beaches. 1 year home warranty included. Check out this great townhome style condo in the community of Gull Point. The perfect community for year round living as well as a second home. Perfect for the water enthusiast. 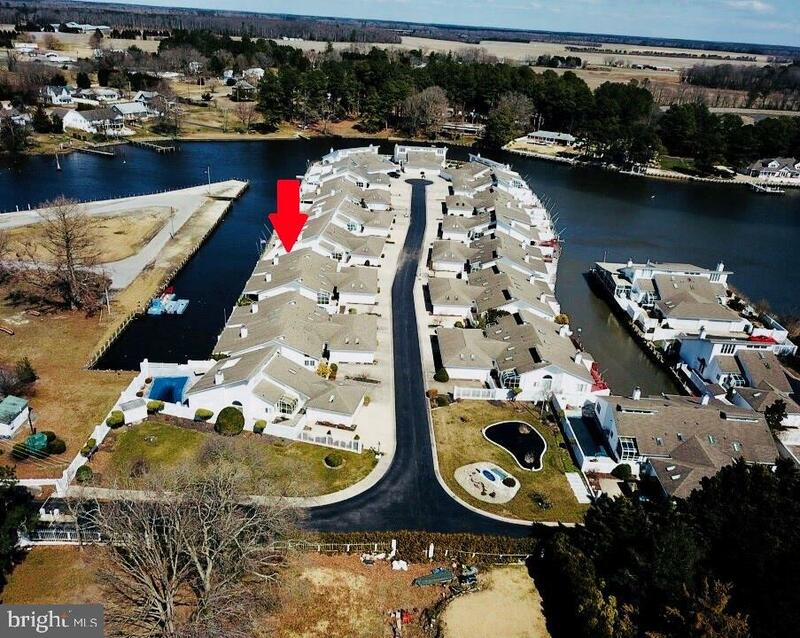 The community has boat slips and pool and there is a public boat ramp located adjacent to the community. This unit features a large deck on the on the rear with views of a water feature with gazebo. There is a first floor bedroom and bath with 2 bedrooms and bath upstairs. The new HVAC was installed in January 2019 and oven/range and microwave in February 2019. This is one to put your list to see. Affordable living near the beach in this Waterfront community with Gazebo, and a community pool. Spacious and Bright 2 Bedroom 2 Bath home featuring a 1st floor bedroom and an Open Floor Plan. Enjoy a peaceful waterview from your back deck.